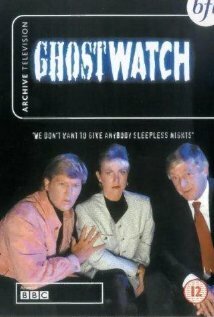 Ghostwatch is a mockumentary that purports to conduct a live investigation of a haunted house. The reaction to the programme led the BBC to place a decade-long ban on the programme being repeated after its initial broadcast and, although this has now been lifted, it remains unlikely that it will ever be shown again on British terrestrial television. Any movie that can gain itself a ban because it scared the crap out of a nation has to be worth watching, right? Because I knew it wasn’t real before going into it, I can’t say it was particularly scary; but I can see why not knowing this important fact could have caused some people to panic. The use of known figures from the BBC would have added to the seeming authenticity of the show, which already goes out of its way to make it seem like the audience is watching something that’s live.